There are many opportunities to help local wildlife and get hands-on experience with FCW. Contact us today. 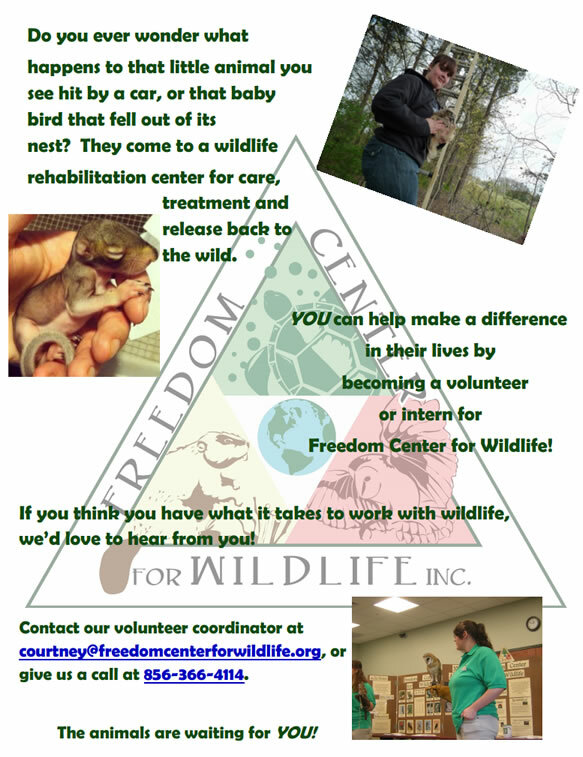 Freedom Center also has a limited number of full- and part-time internship opportunities in wildlife rehabilitation and environmental education. Prospective interns must be students in a college or university program with major coursework in an environmental or biological field. Click here for a full description of the position, and for more information, contact Ruth at ruth@freedomcenterforwildlife.org.